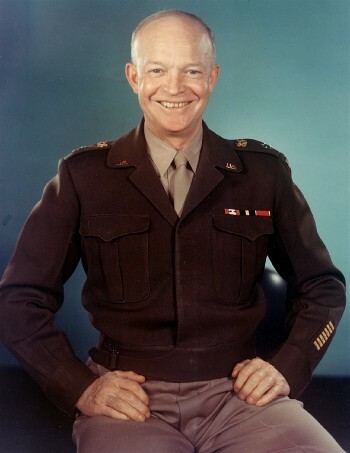 Shortly before D-Day all American troops stationed around Grantham received a stirring message from General Dwight Eisenhower, Supreme Commander of the Allied Forces in Europe. You are about to embark on the Great Crusade, towards which we have striven these many months. The eyes of the world are upon you. The hopes and prayers of liberty loving people everywhere march with you. In company with our brave Allies and brothers-in-arms on other fronts, we will bring about the destruction of the German war machine, the elimination of Nazi tyranny over the oppressed peoples of Europe and security for ourselves in a free world. Your task will not be an easy one. Your enemy is well trained, well equipped and battle hardened. He will fight savagely. But this is the year 1944! Much has happened since the Nazi triumphs of 1940-41. The United Nations have inflicted upon the Germans great defeats, in open battle, man to man. Our air offensive has seriously reduced their strength in the air and their capacity to wage war on the ground. Our Home Fronts have given us an overwhelming superiority in weapons and munitions of war, and placed at our disposal great reserves of trained fighting men. The free men of the world are marching together to Victory. I have full confidence in your courage, devotion to duty and skill in battle. We will accept nothing less that full Victory! Good Luck. And let us all beseech the blessing of almighty God upon this great and noble undertaking."